May 4: 27th Annual Lewis Drobnick & Ed Goss Memorial Fox Trot 5K/1 mile, a fun run/walk at OASA Field; it's a Glow Run! October 31: Halloween with city-wide trick 'o treating 4-7 pm. October 31: Business Trick or Treat 4-7 pm- Local businesses provide a safe trick or treating experience. Look for for the Jack o' Lantern in the window. Would you like to give and get more for your community? 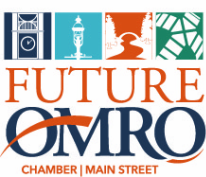 Below is a link to Future Omro's sponsorship advertising and volunteer opportunities which are available throughout the year.